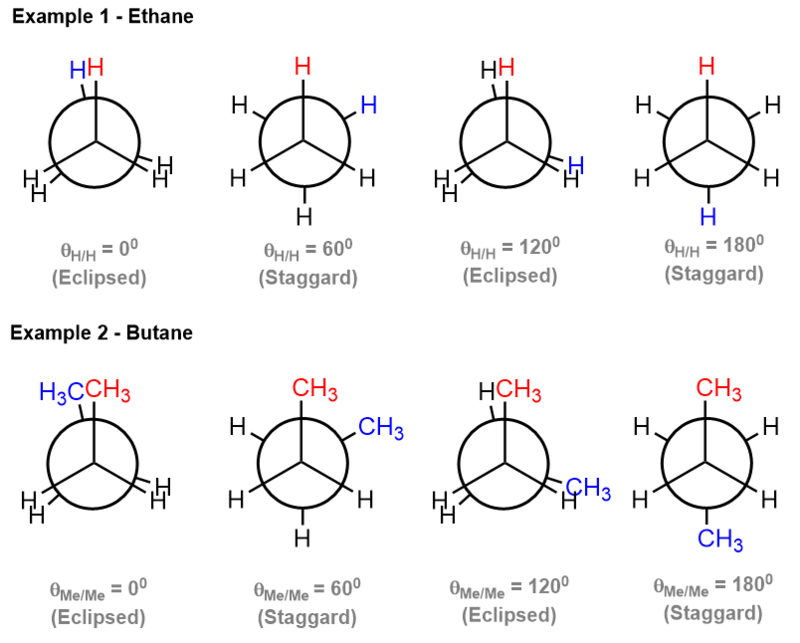 The Staggered conformation is a molecular conformation in which the groups/substituents on the adjacent atoms are most evenly spaced out with each other. We can also say that the groups are eclipsing each other in a Newman projection. A staggered conformation has two atoms or groups that have a dihedral angle of 60 or 180 degrees. The bonds on an axis of rotation are not aligned. This confirmation represents the lowest torsional strain and is hence most stable.